I am so looking forward to Podcast Movement. 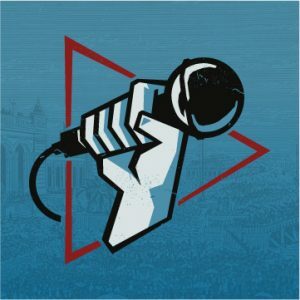 This is the largest Podcast Event that is solely geared toward podcasting. Being face to face with people is the best way to grow your network, and take advantage of all the opportunities. Starting a podcast is a great way to build your network, and coming to an event is like building your network on steroids. I got to talk to Marc Maron a couple of years ago. He just showed up to one of the networking parties, and I said hello and started talking. I can't do that sitting in my chair in my office. It's Jule 23 – 26th in Philadelphia PA.
After all, can't I just use a media host and a Facebook page? To this I say, would you buy a car from a person selling them out of a tent? If you ever plan on telling people where to find something, you NEED a website. Case in point, if you do a real estate podcast and say “Find me in Apple Podcasts” you have a very good chance of not being found. Not because the search tools bad (it could be improved) but because there are so many real estate shows. The same goes for Entrepreneur shows. The solution is instead of saying “Find me in (whatever) app” is to say go to mywebsite.com/subscribe and I've got a tutorial that will walk you through the process. 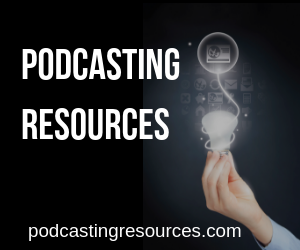 What Do You Need On Your Podcast Website? You need a play button because asking someone to subscribe to a show they've never heard is like asking someone to pay for a sandwich they've never eaten. Your play button is like the person at the mall who gives out samples of chicken at the food court. They give you a sample and hope your purchase. With podcasts, you make it easy to play and hope they subscribe. One other note, there are still some people who do not have smartphones. The tough part is some consultants have a website for their consulting, and then add a podcast. Do you have a paragraph for the show or for the host? The answer is both. The harder question is which one is first? If your goal is to get hired as a consultant, then put your paragraph first. If you are hoping to use your podcast to build that relationship that leads to more consulting, then maybe you put the podcast paragraph first. I put every way you can contact me on my contact page. Email, voicemail, social media, etc. This way if someone wants to contact me, they only need to look in one place. If you are using some sort of form, be sure to use the form yourself and make sure you get the message. In past, I've used Hostgator (and was even a reseller), and BlueHost (I've never had great luck with them), Godaddy (I am a reseller at www.coolerwebsites.com). Recently I new breed of websites came on board and these were geared to host sites built on WordPress. I tried a few using Godaddy as a platform and thought I saw some increase in speed. Then I put a WordPress website on what I will now call “Traditional” hosting, and can say the difference is notable. The fees are typically a little higher (A few dollars more a month), but the speed is higher. That's the good news. The bad news is most of these WordPress Hosting Packages come with email addresses. This was the case when I hosted a WP Engine. I solved this by getting email through Google at the price of $5 a month per email. WP Engine is a fine company, but to make a long story short, if you get any kind of traffic you pay through the nose (At one point I was paying between 50-70 a month). This is why I liked Godaddy's WordPress Hosting as it was around $10 a month for 400,000 visitors. I've been using them (again my reseller is www.coolerwebsites.com) but then I heard about Siteground. Siteground has WordPress Designed packages, and they offer your email addresses as well. I moved some sites to their platform to test, and again noticed a speed increase with my pages loading. I finally chose to move the School of Podcasting to their platform (from WP Engine) and again saw an increase, plus I got as many email addresses as I want. Their support is AWESOME And I couldn't be happier. Oh yea, the price? $11.95 a month. I am very happy to be saving some cash each month and getting more services. How Do You Move Your Site? 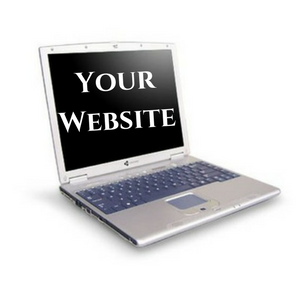 The good news is most web hosts will move your site for free. Siteground did the School of Podcasting for free. However, I wanted to move more sites. They charge $30 to move your site over. So here is how I did it. I used ManageWP. I love this service. I installed a free plugin to my site, and paid $2 to back it up. I then installed WordPress with a few click on Siteground and updated my domain name to point at my blank site. I put a message on the front of the website saying we are moving and we would be going temporarily offline. I would refresh my screen every five minutes, and the minute I saw the deal WordPress screen, I went into ManageWP and had them restore website from my backup. It worked flawlessly. So instead of paying $30, I paid $2. If I had used their service, they probably could do it without the site going offline, but you can choose your own path. How Many Sites Can You Have on One Site Ground Plan? As you can see on the left, I've got some room to grow. Most of these sites are fairly dead. You can see this information by going into the cpanel and looking on the left-hand side of the screen. Wherever you host your website, be sure to have a backup, keep your themes and plugins up to date, and remove any plugins and themes you are not using (don't just deactivate them). Last year Apple added the ability to add episode numbers to your show. These may come in handy later with different apps. Currently, you can now ask Siri to subscribe to your show. That makes it easy. In the future, there is speculation that you will be able to request an episode number if it is in place. There is also speculation that this field may be used by Amazon in skills for your podcast. What if you already have a bunch of episodes? If you're on Libsyn, currently ask Rob Walch ( ) to send you the secret link (as it's not public) and he will send you a link that makes it super easy to add your episodes to your entire back catalog in minutes. In terms of where do you start? I would start with the latest episode and work backward. It's not as easy to count that way, but for me, I feel your latest episodes are getting the most attention. If you are using WordPress, you can right-click on the edit link and open in a window. This keeps you in the same location. Hey Dave, love the show. Just wanted to point out that you’ve got a typo above. Search for coolwerwebsites.com (replace with coolerwebsites.com of course). Cheers! Thanks so much. I got it fixed. I was thinking it should’ve been mentioned to look for web hosts that include SSL certificates in their price since Google now treats sites without as second-class citizens. Not to mention you usually can’t accept any form of payment without an SSL. I’m on one of Hostgator’s cheaper plans (Hatchling) and SSL isn’t even available on my plan. I’d need to upgrade to the Baby plan. Even then it’s not included in the price! It’s an extra $40 per year AND I have to install it myself! Uncool. It is, however, included with no self-installation on their Business plan. I have been very happy with Hostgator, but every other web host I’ve researched includes SSL on EVERY level plan. Considering moving to Siteground on Dave’s recommendation. Do you have a discount code or affiliate link?